Canned pumpkin…accessible and versatile any time of year. Works in more than just desserts. So be adventurous and add canned pumpkin to your favorite chili. Chili?! Yes, it’s easy and adds richness and even MORE nutrients. 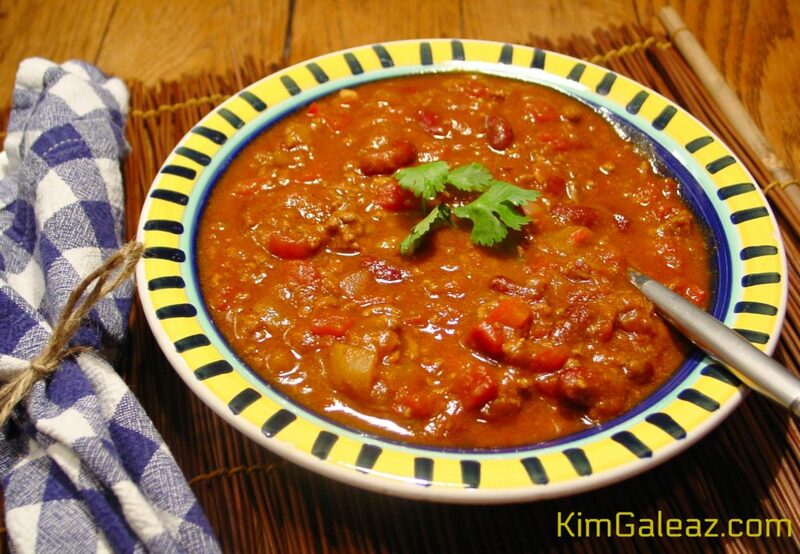 Chili is already filled with good nutrition because of the onions, garlic and canned tomatoes and beans: immune-boosting, heart-healthy and disease-fighting phytonutrients, vitamins and minerals. Canned pumpkin adds even more of those nutrients, especially vitamins A, C and fiber. 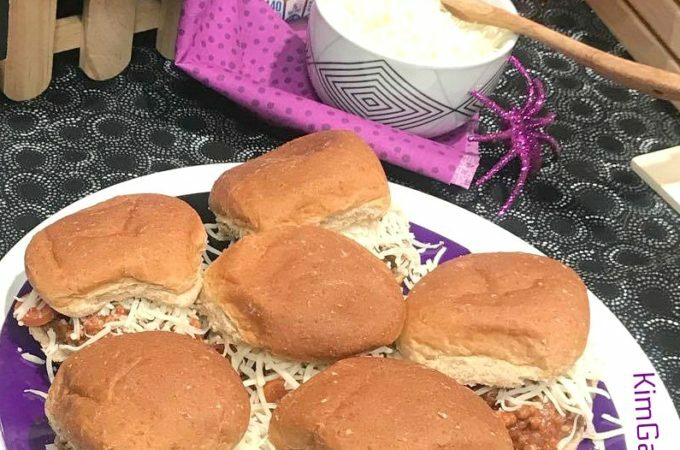 Enjoy every bite, not only because it tastes wonderful and gives your body essential nutrients, but because you’re supporting Indiana Pumpkin Farmers. In fact, Indiana is 2nd in pumpkin production for the United States. Surprise! Pumpkin stars in this chili, but you wouldn't know it. 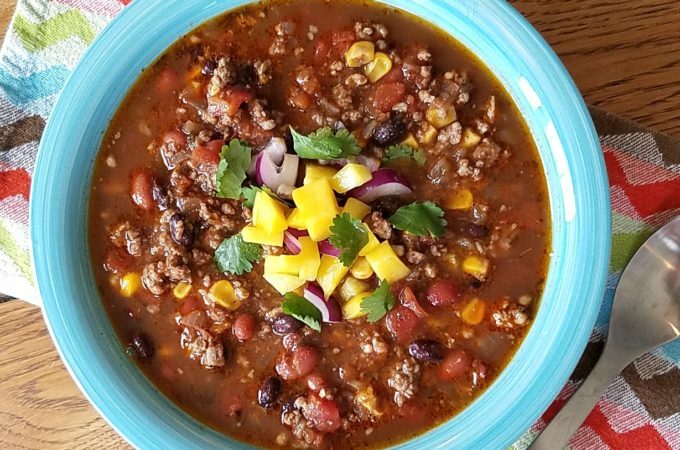 Canned pumpkin adds richness and even more valuable nutrition to this already nutrient-rich turkey chili. Heat oil in a large stock pot or Dutch oven (at least 5 quarts) over medium high heat. Add onion, garlic and bell pepper. Cook, stirring frequently, 5 to 8 minutes or until slightly softened. Add ground turkey cook until browned. Add tomatoes, tomato sauce, pumpkin, beans, chilies, 1 cup broth and all spices. Bring to a boil, then reduce heat to low. Cover and simmer 30 to 40 minutes, stirring occasionally. Thin with additional chicken broth if desired.